I have looked a couple of times for people with interest in these fantastic machines. 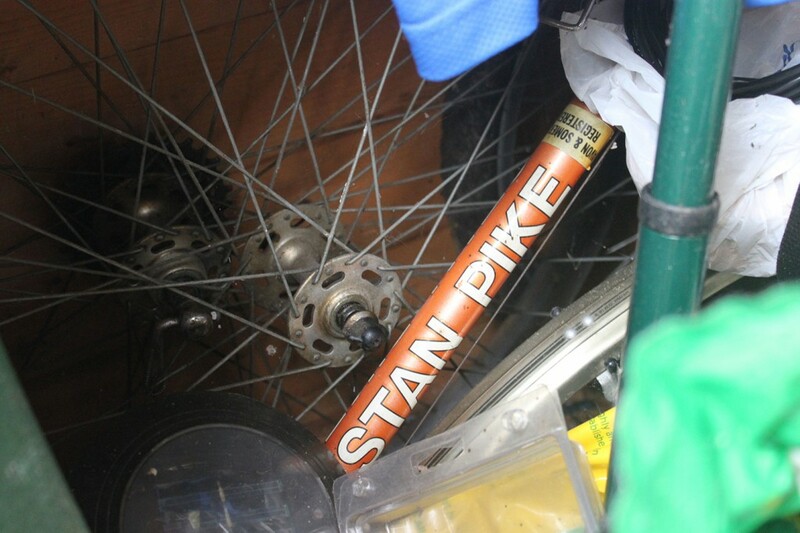 I have still got my Stan Pike, but it is laying neglected in the shed. Would you like me to dust it down and take some photos? 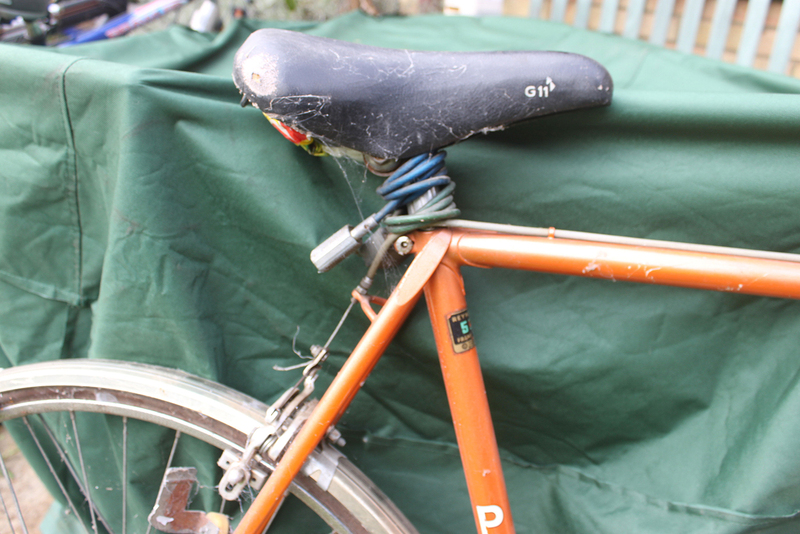 It has all of the original parts (even the wheels and the slightly unsightly mud guards). 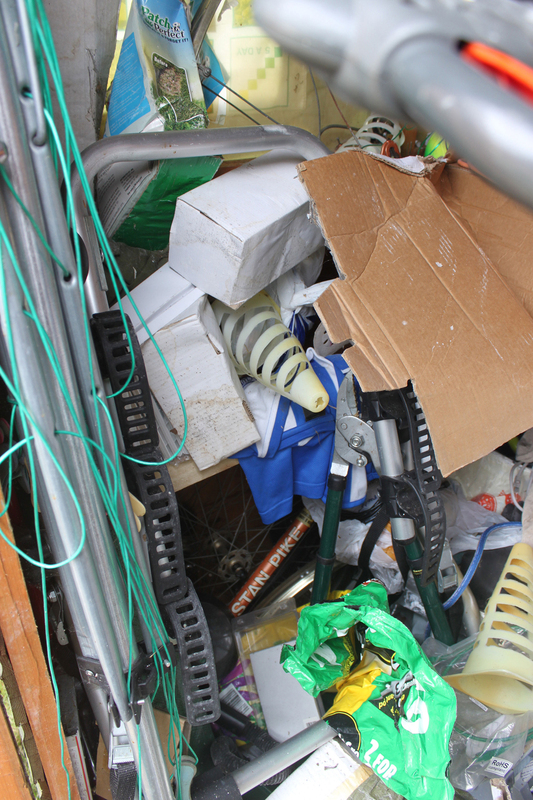 Spot the Stan Pike – hidden away in Barry’s shed! 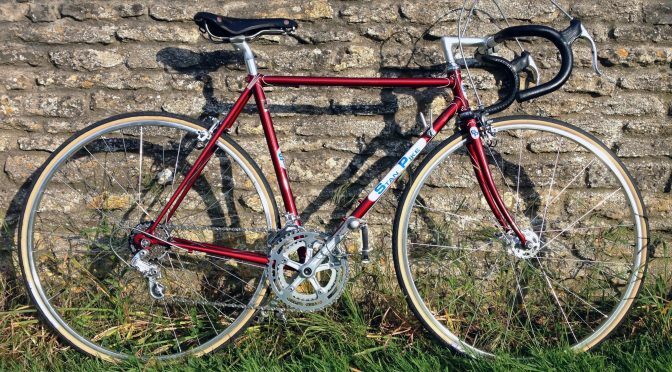 I think I actually got the bike on my 16th birthday, when we lived in Yeovil, as I was really into cycling and myself and my mates would go riding every weekend. A lot of them lived out in the villages so I used to start off from Yeovil and meet up on the way round. I remember getting the bike and being really nervous of riding it to school as I didn’t want to get it damaged but luckily it was only admired. We all talked about joining a club or doing some events but we never did. 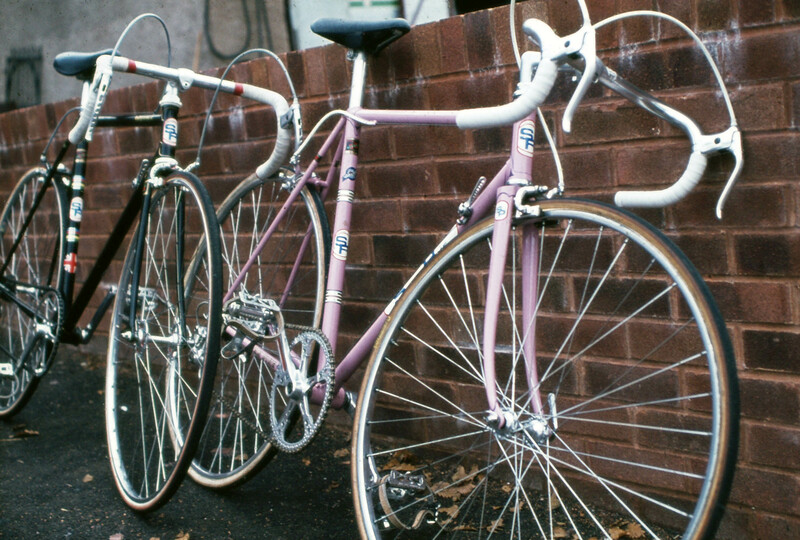 Soon after finishing school we moved to Bristol and the cycling reduced as the distractions of being an 18-year-old. The only part that was not on the bike when I got it was the saddle. I remember that was a leather one that after a little while just got more uncomfortable. 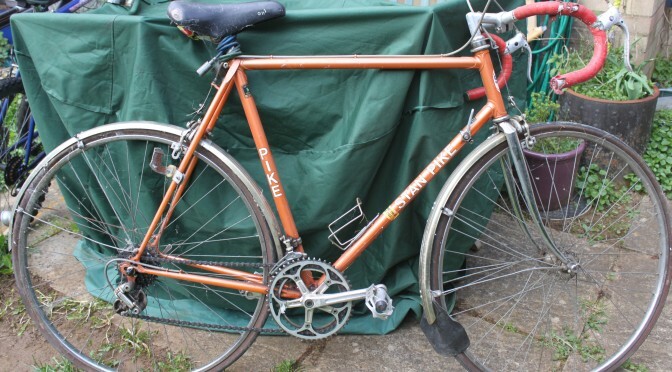 I found Terry’s details on the internet after Googling ‘Stan Pike cycles’. I emailed him and he replied with loads of information and a slideshow of Stan building a frame. 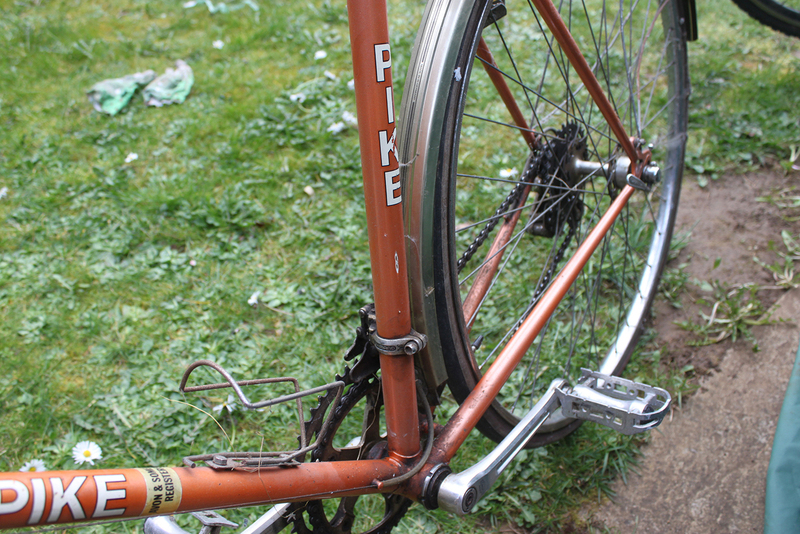 Now living in France, and aged 72, Terry is considering selling his Stan Pike (details below). 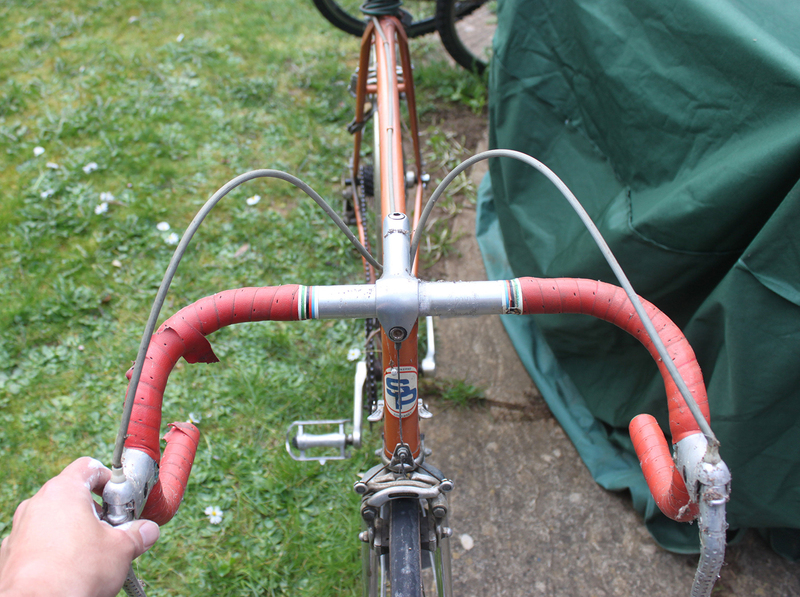 When I first met Stan, it was to thread down a pair of forks I had shortened. At that time he was working at home out of his garage, while still being permanently employed by Westlands. At Westlands he was leading a small group of specialised welders, and all jobs were priced by him. As the work was for the MOD, all the welders had to retake exams every six months (if I remember correctly) and Stan was alone in never having failed an exam. He also helped out at the local motorcycle garage (Vincent & Jerrom), welding aluminium finned engine blocks. 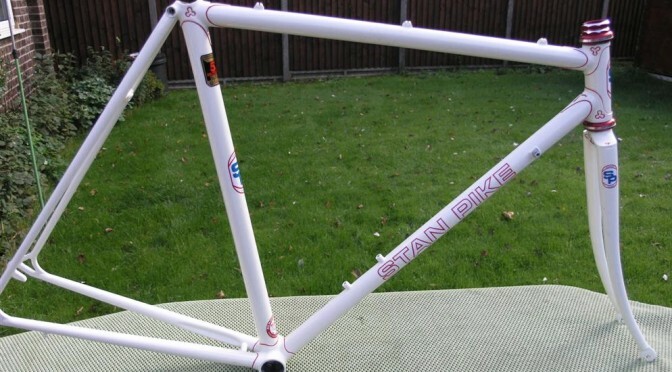 Stan naturally build a lot of frames for local riders. 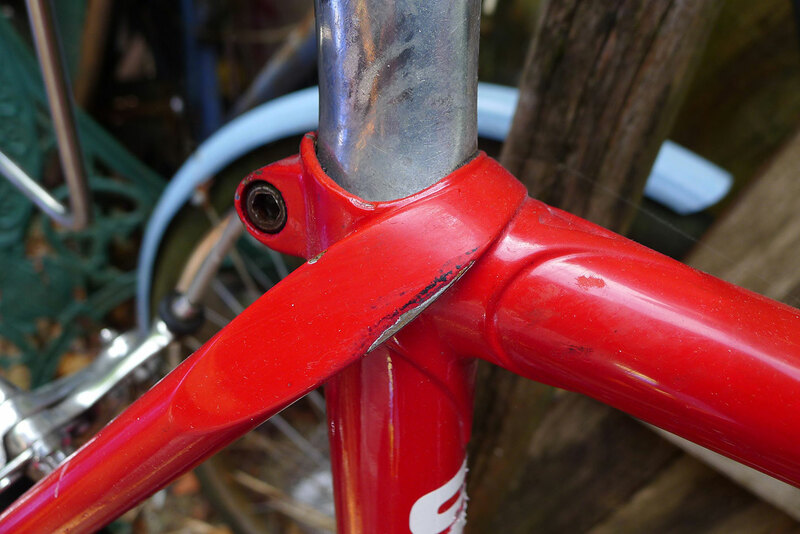 One weekend, Bob Maslen broke his current Stan frame in an accident. 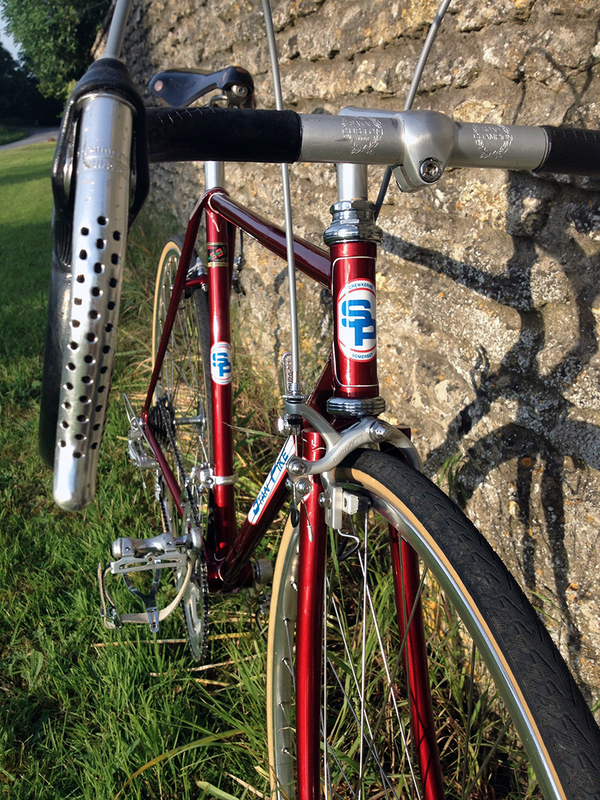 He contacted Stan, who promptly build him another to the same spec to ride the following weekend. 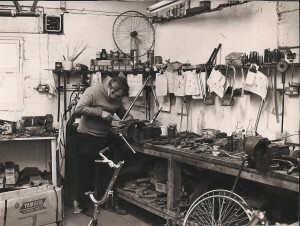 In 1977, after leaving Westlands, Stan moved to full-time premises – a bike shop that had previously been rather run down. I did some carpentry work for him in an attempt to keep heat in the building. That’s how I became the owner of my first Stan. 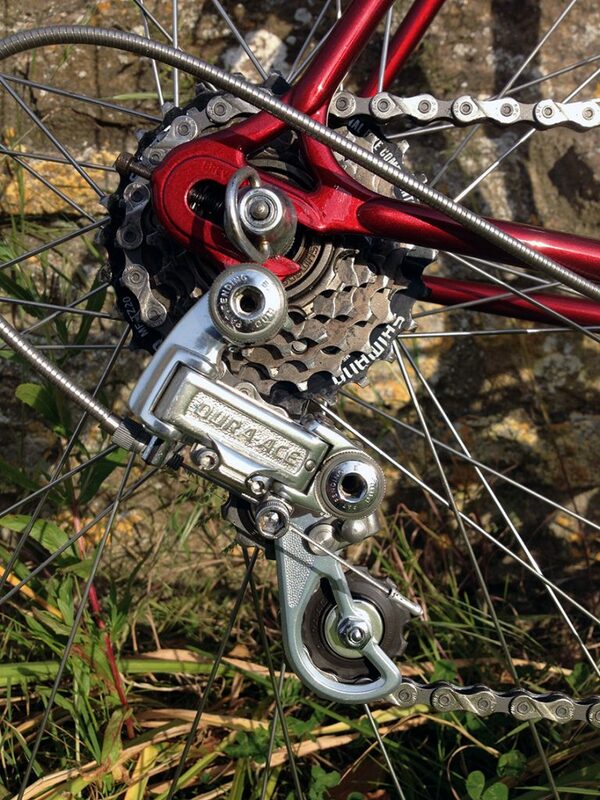 He had been asked by a local rider, Brian Miles of the Somerset RC, to make a new frame using the new Shimano vertical dropout. Needless to say, the new ends were in short supply, so he built the frame and waited for delivery of the ends. 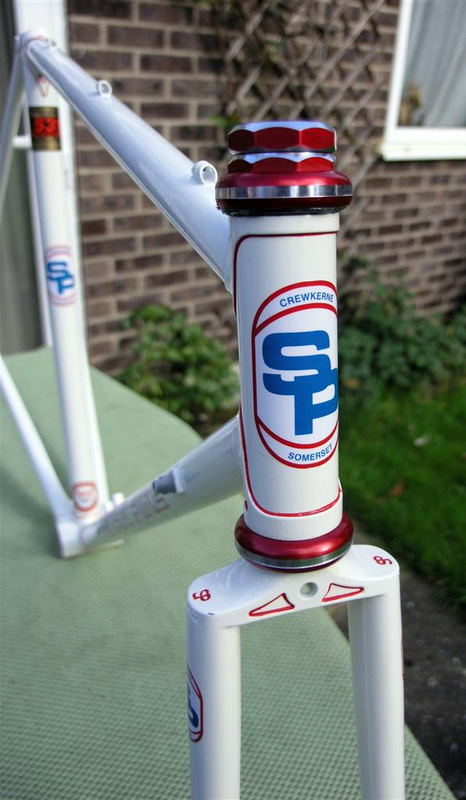 On arrival, he finished the frame, had it sprayed and passed it over to the purchaser. 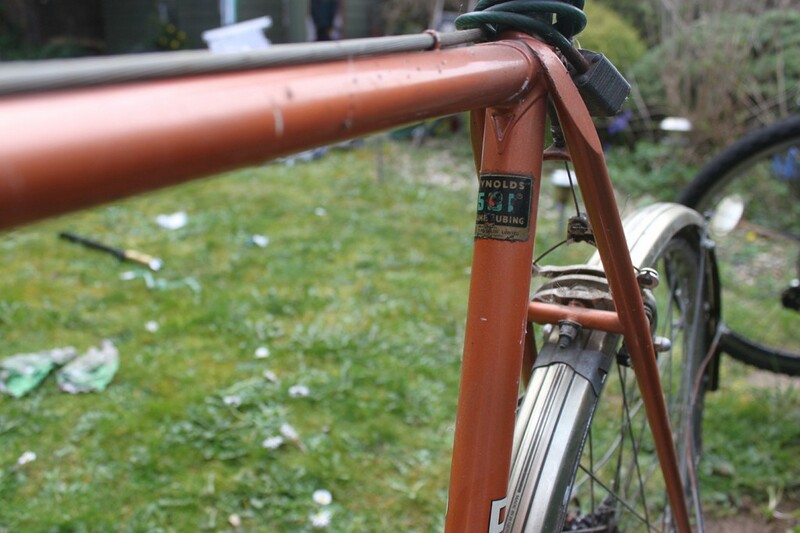 Shortly after he realised that there had been a mistake – the frame had been ordered to track spec, although it was for road use. The owner, being a well known track rider, as such it was short (under 36″s). 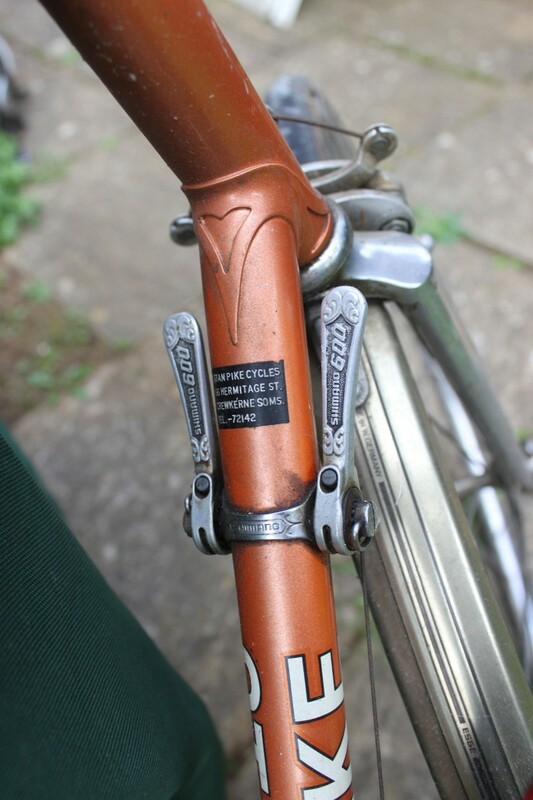 The dropouts were closer to the seat tube than Stan’s previous use (Campag) and as such, even with a thin locking band for the front changer, only a maximum of an 8 oz Barum tubular could be used. 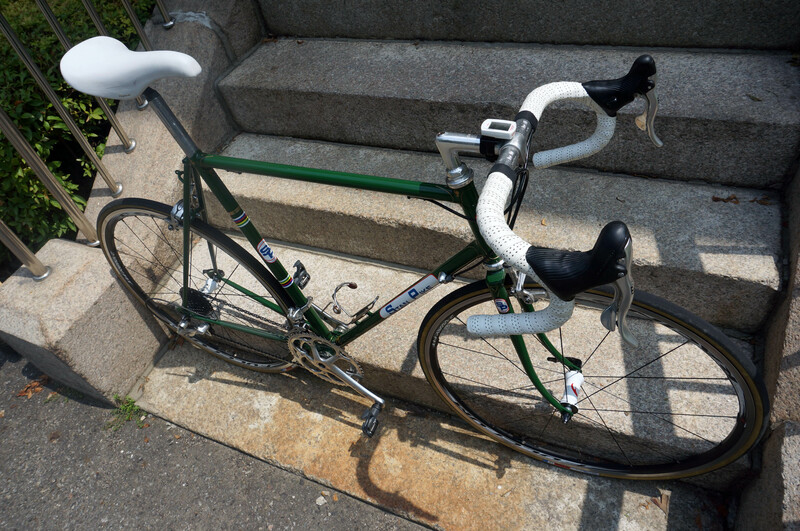 Stan rebuilt the frame, removed the LHS brazings, and donated the frame to me for my time spent. After the original home spray, I had it done professionally by Argos in French Blue. As has been said he built for many others, Ken Ryall, Don Farrell etc. In 1979, I was photographing the Isle of Wedmore Tour. Stan was providing a frameset for winning rider. After the presentation, Stan would build another to the spec of the winner, which was how they were then marked on the BB. 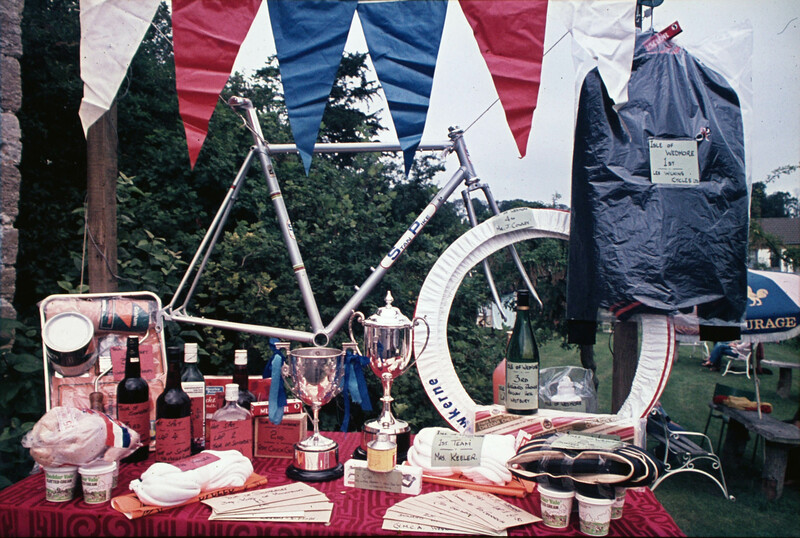 At the 1979 Isle of Wedmore Tour, the lucky winner was given a Stan Pike frame. Other prizes included tubs of clotted cream, pots of paint and a bag of potatoes! 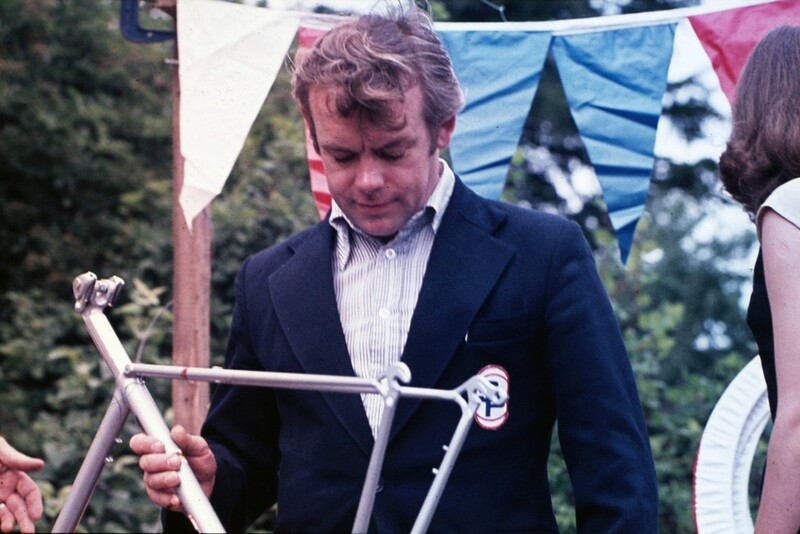 Later, I helped out Stan by assembling bikes for him at weekends. He then offered to build me one of his “specials” (no maker decals! ), which he did, silver soldered. He added 1/4″ to the rear, and 1 degree less on the head, with a little more rake. 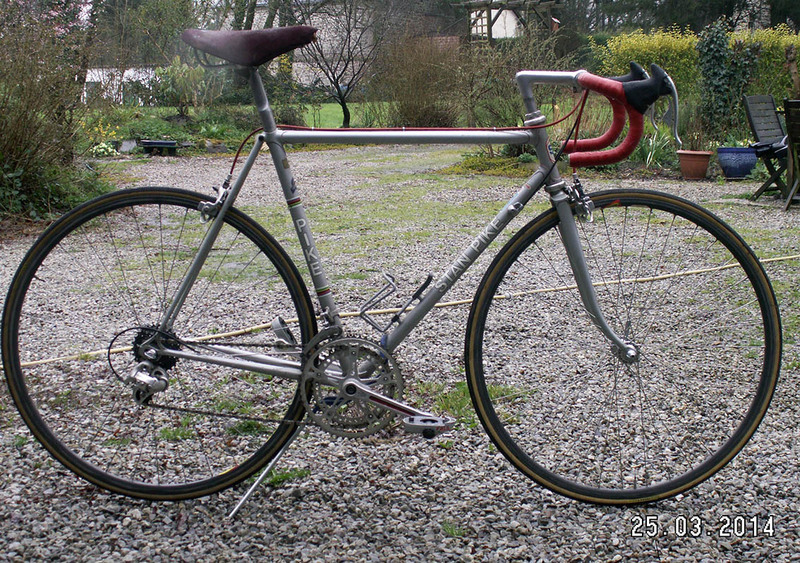 Once finished it was lighter than a 753, and rides like a dream, even all day. 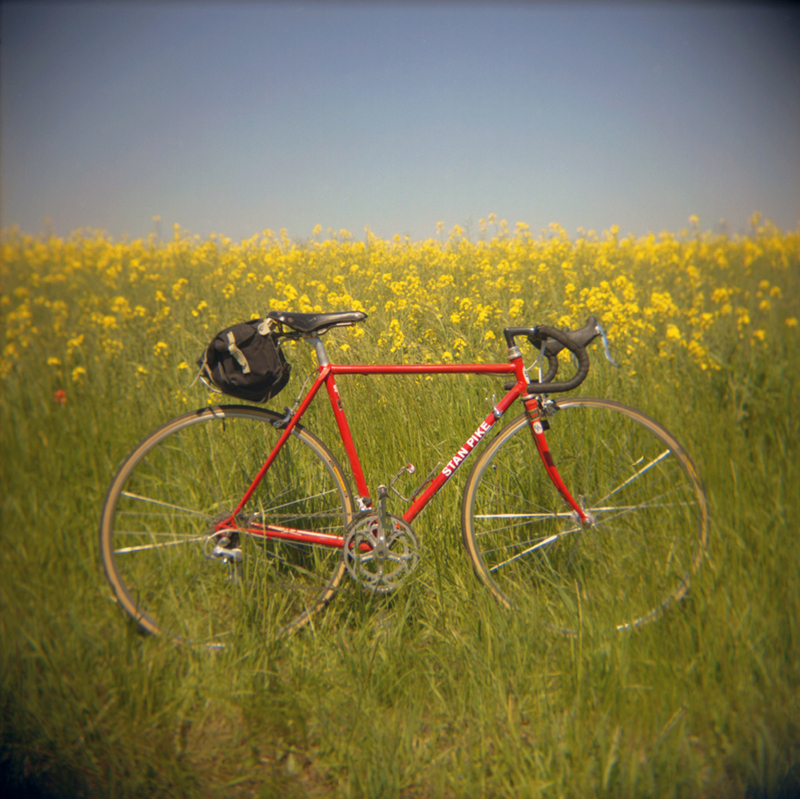 Needless to say, at his funeral, the crematorium was overflowing – top local riders from all over the county were there. It was a day not to be forgotten. 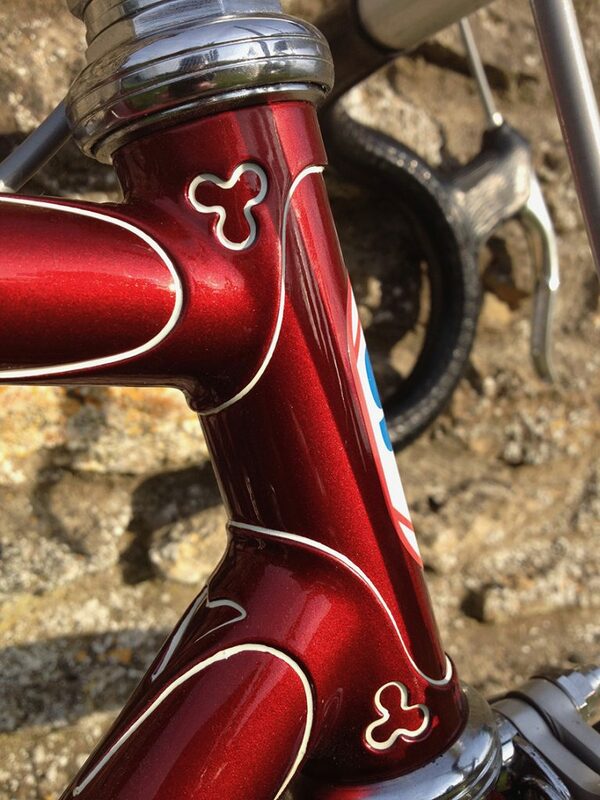 My particular frame was made in a mixture of tubings, all chosen for their particular properties. 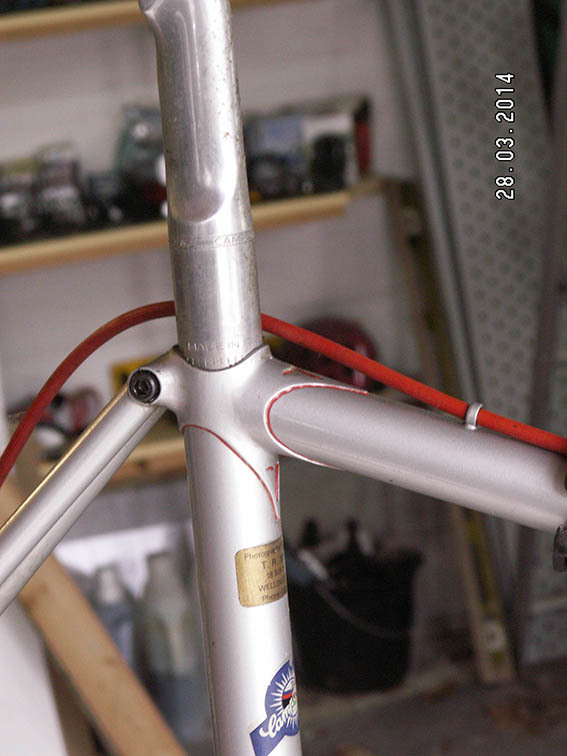 Top tube – 531db, but from a large frame tubing, and then with the butted ends shortened, so very little thicker tube left. 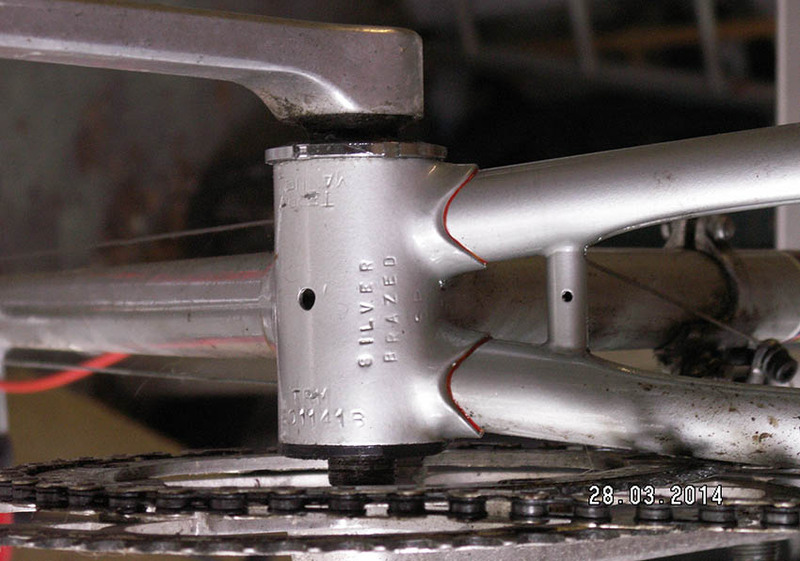 Bottom bracket – Good quality standard with thick walls and tight threading. When I chose the fork column, Stan approved of the choice, but immediately said I had to file it away. It was too heavy. When I said that worried me, his answer was, “never mind, if you get it wrong, do another one! When soldered to the forks, he then fixed the brake bolt in place thereby avoiding the common problem at that time of the brakes moving and therefore rubbing on the rims. As regards the lugs, Stan did not approve of the older generations ideas. 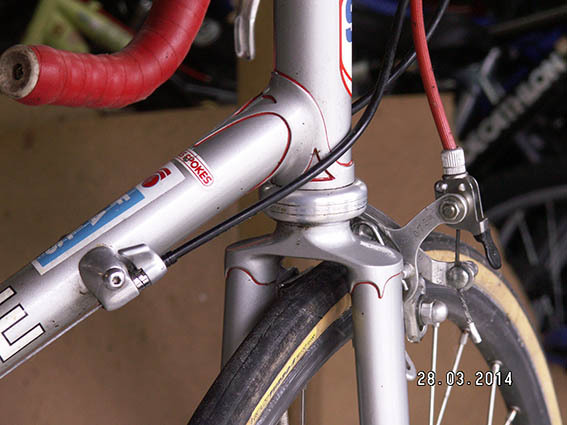 The lug had to be an even thickness, and with 90% edges. Otherwise the heat would not be even, and therefore a poor joint. 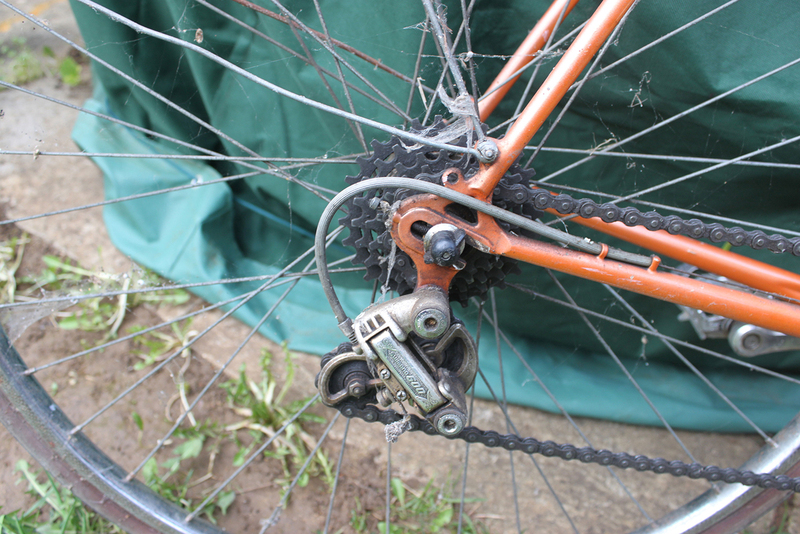 As can be seen from my photos (see slideshow above), when Stan brazed the tubes did not get red, and therefore overheated. A publicity shot by Holdsworthy at that time shows them forge brazing with tubes cherry red half way to the next lug. That appalled him. 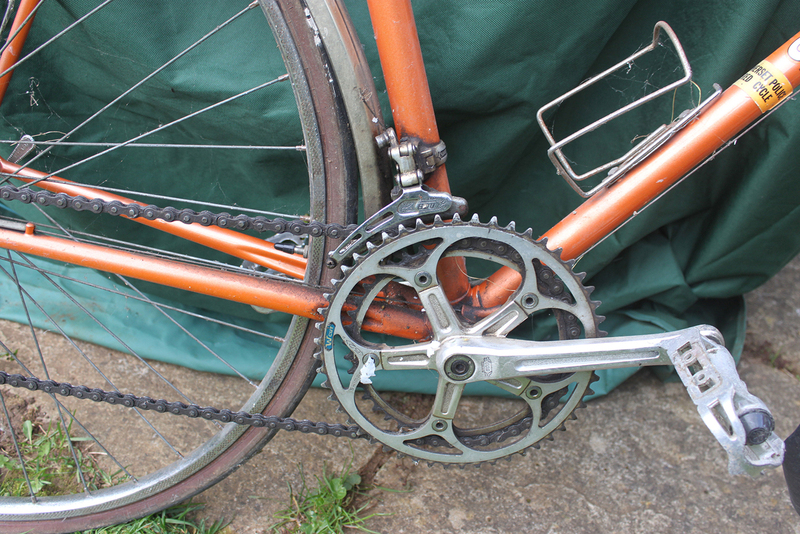 When 753 was brought out he applied for the licence and was sent two sets to return a finished BB assembly. Sent some pieces into Westlands for testing with some 531. The result, if overhreated the characteristics of 753 was lost, and it then was much the same as 531. Sent off a bracket assembly (silver soldered), and Reynolds failed it. Said it should have been sent sand/bead blasted. Stan enquired why. Answer they had to have a clean assembly to test. He said with silver solder you get rid of the flux with boiling water. Needless to say they did not know that. He cleaned the sample, sent it back, and needless to say got the certificate, virtually by return. Stan would not jig build. He had at some time built a jig to use, but was appalled by its use. He therefore built all his spec frames off of board; tacking each joint and checking for true, before doing a final braze. Competitors said it was not possible to do the wrap over seat join in silver, so he did one for me in his hands in front of my eyes; no problem. “Top eyes” he hated, far too heavy, so all stays etc were shaped by hand and brazed as such. 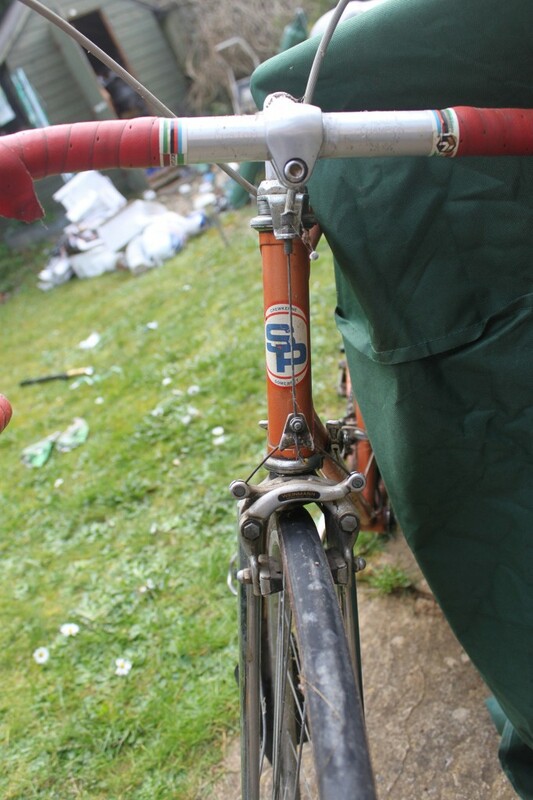 Regrettably, at the age of 72 and with balance problems, I will need to sell my Stan, preferably as a whole, either period or 9sp Ergo, together with lots of other parts around that period. The frame is in its original metallic silver (unmarked), fully dipped in engine oil by Stan to stop internal rust, together with a spare set of Stan decals. 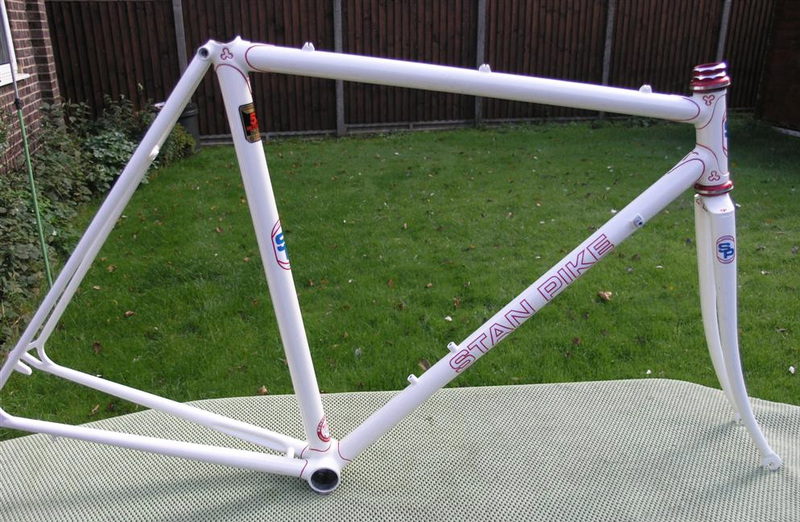 If of any interest, I also have the very first Graham Tomlinson frame, which he built with some knowledge from myself. 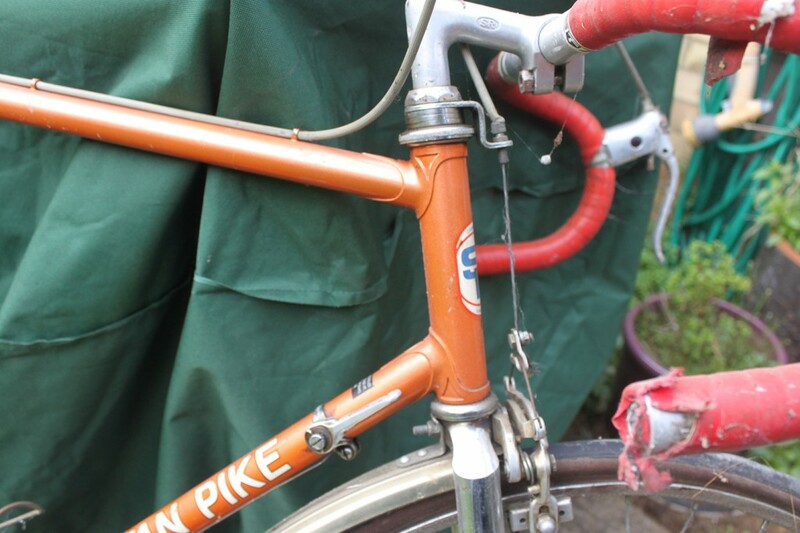 If anyone is interested in purchasing Terry’s Stan Pike (the silver bike in the photos above), please get in touch through the contact form. NB. 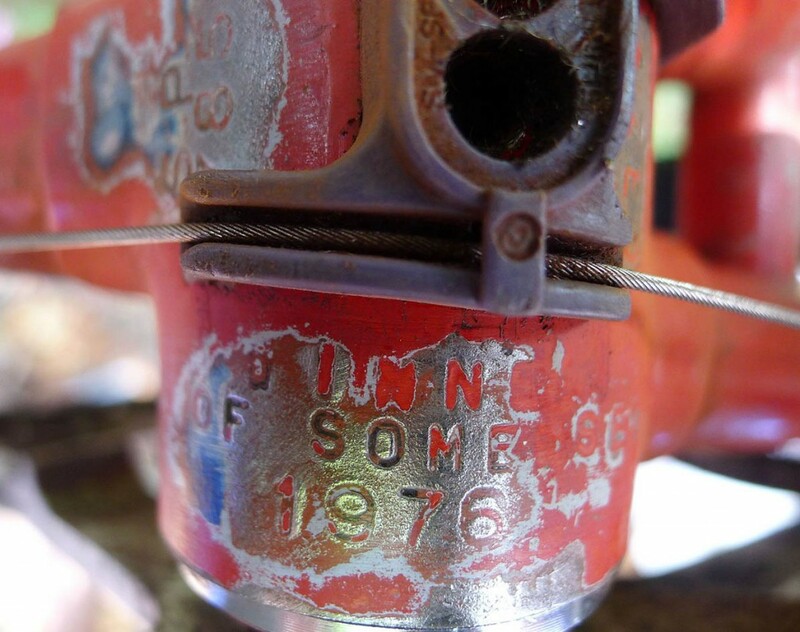 In the slide show one shot is of a BB being brazed. Terry points out that, in this instance, it is being brass brazed not silver soldered. 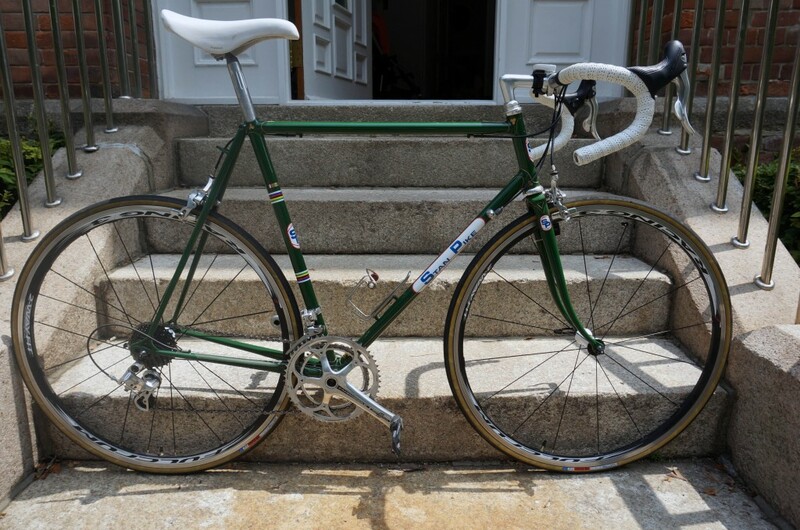 I came by the frame via a bike forum. 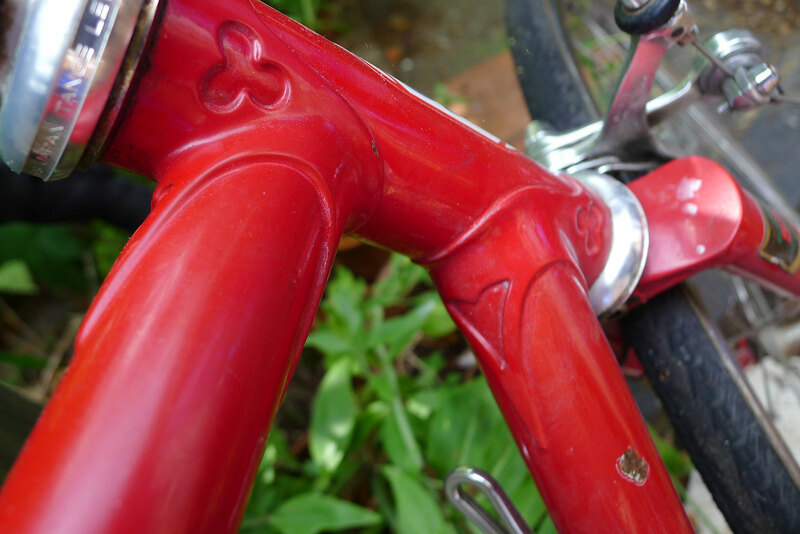 The chap I purchased it off had just had it re-finished by Mercian cycles (allegedly it was pink beforehand) and he had it decal’d up as 531SL frame. He said he wasn’t actually sure which tubing it was built from but said that it was lighter than a 753 frame he had recently sold. 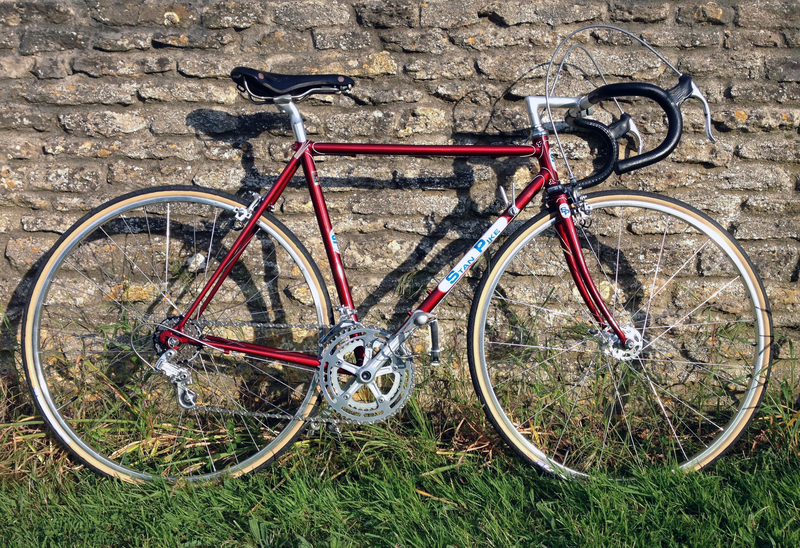 In fact, he said it was so light, he wasn’t prepared to ship the frame by post, so the excellent price I agreed with the seller was muted by me having to drive from Norwich to Sheffield to collect it. I told the seller, once back home with it, that the frame was built from Ishiwata 015a, the lightest steel tube-set made, lighter than even Columbus Record, which was in itself lighter than Columbus KL, another very light tube-set indeed, both lighter than 753. 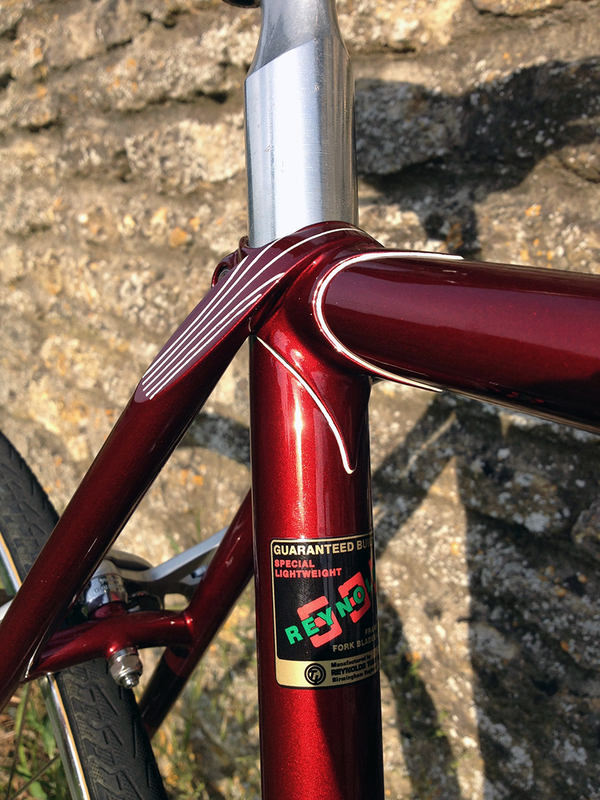 It’s so light that it’s recommended for smooth surfaces and a rider weight of no more than 10 stone! Many folk don’t realise that even with 531 there are many gauges over and above 531/531c/531st/531SL etc … such as 22/20 20/18 gauge et al. A quick internet search shows that Sam Shear was a hairdresser, time trialist and now lives in Majorca. I think he’s also member of the Veterans Time Trials Association? 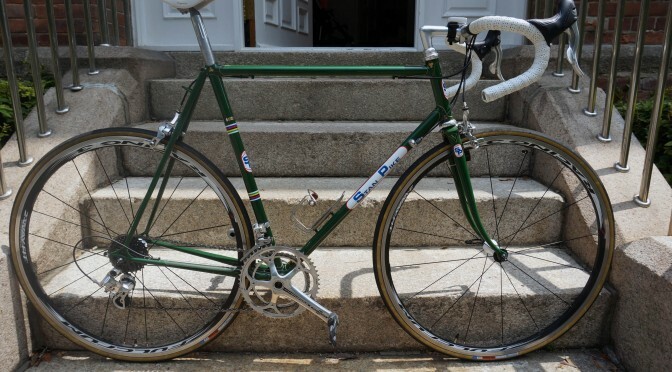 Sadly, the frame is too small for me so my goal is to build it up, with some of the lightest period parts I can find, as a 10 mile TT machine for my girlfriend. 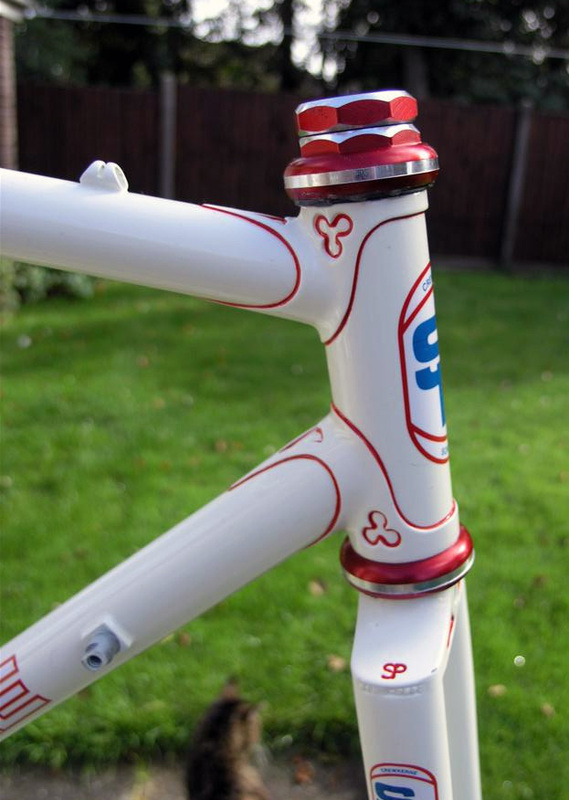 If anyone has any further information about James’s frame, or knows where he can purchase the correct Ishiwata decals, we’d love to know. Please contact me through the Contact form. 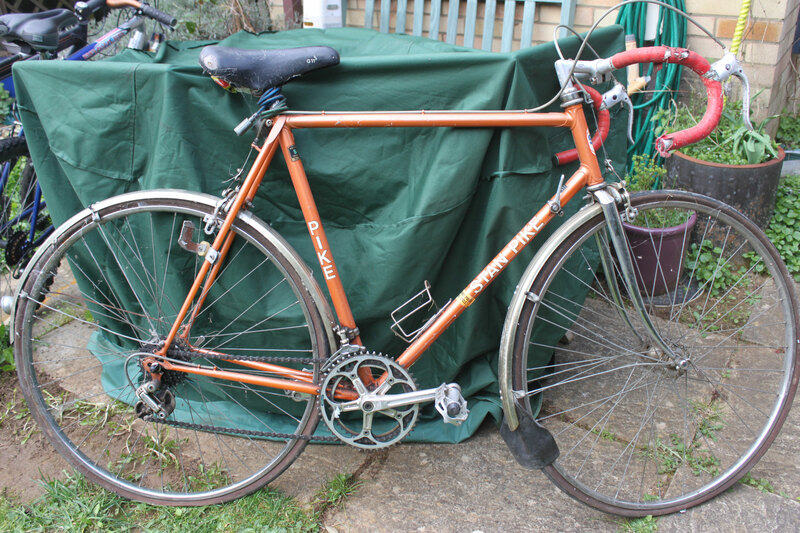 Bought on eBay in July 2011, from a man in Chard, Somerset who’d owned it for the past 27 years. 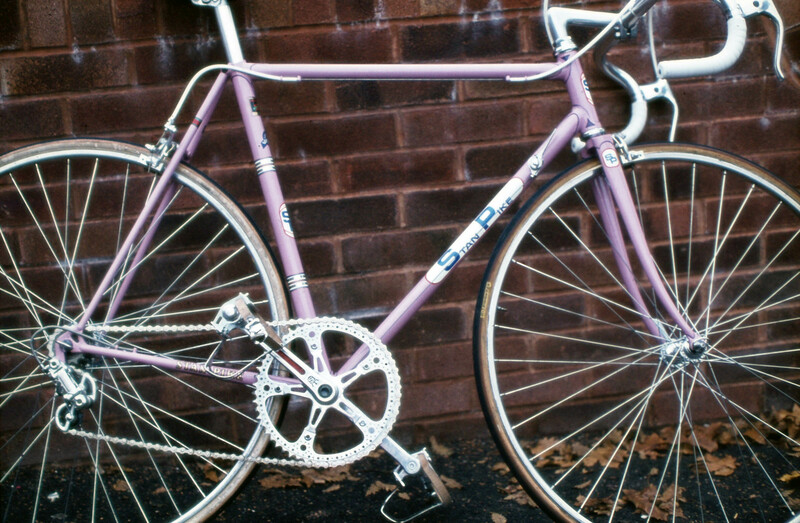 Made from 531 SL and silver brazed, he’d resprayed it at some point and added new decals. “Yes, I am the same Ivor Earl who won Tour of Somerset in 1976. Glad to hear that the bike is still being used and looked after. 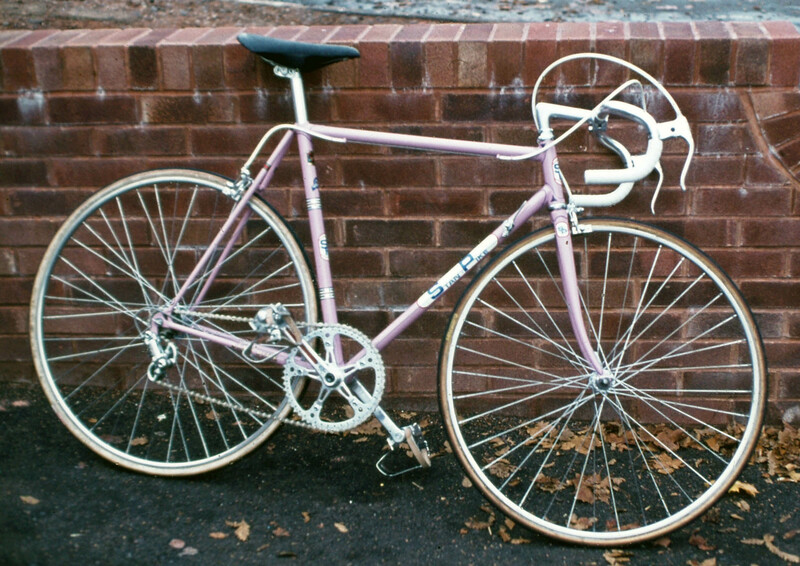 Stan donated the frame set as first prize. 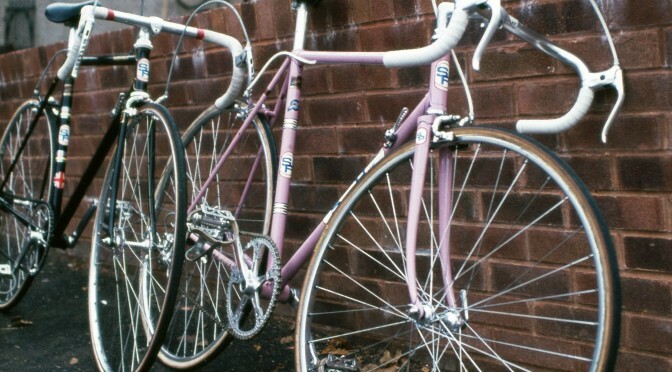 The race was a major local event and Stan, being a local bike shop owner, wanted to get involved. A photo of me holding the frame aloft appeared on the back page of a number of local newspapers. The frame I held aloft was actually too big for me and Stan arranged to make a tailor made one for me. 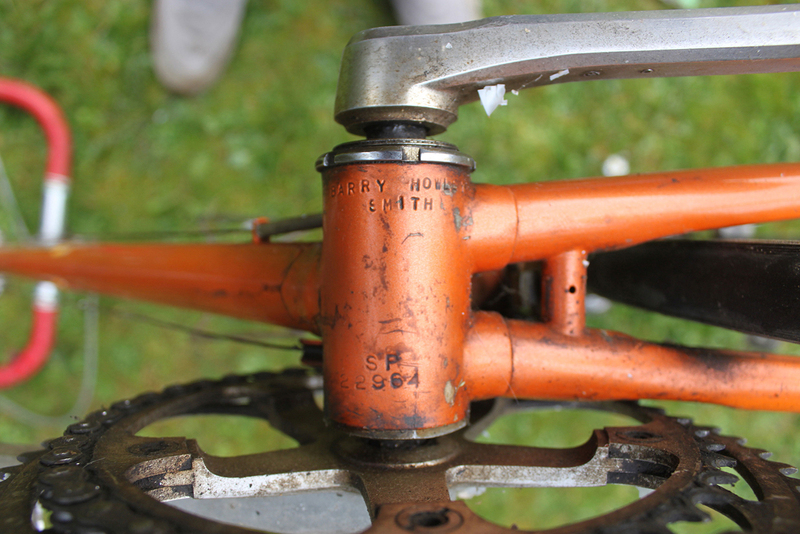 Hence the inscription underneath the bottom bracket. The frame was officially given to me at the Weston Super Mare Wheelers Club dinner later that year. 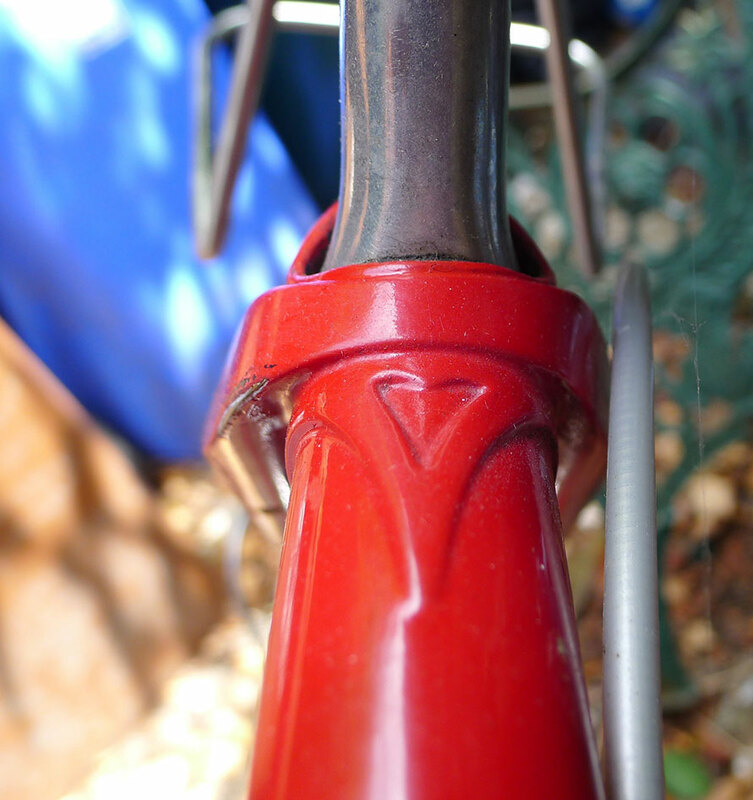 I loved finding out about my bike’s history and it makes owning and riding it even more special. 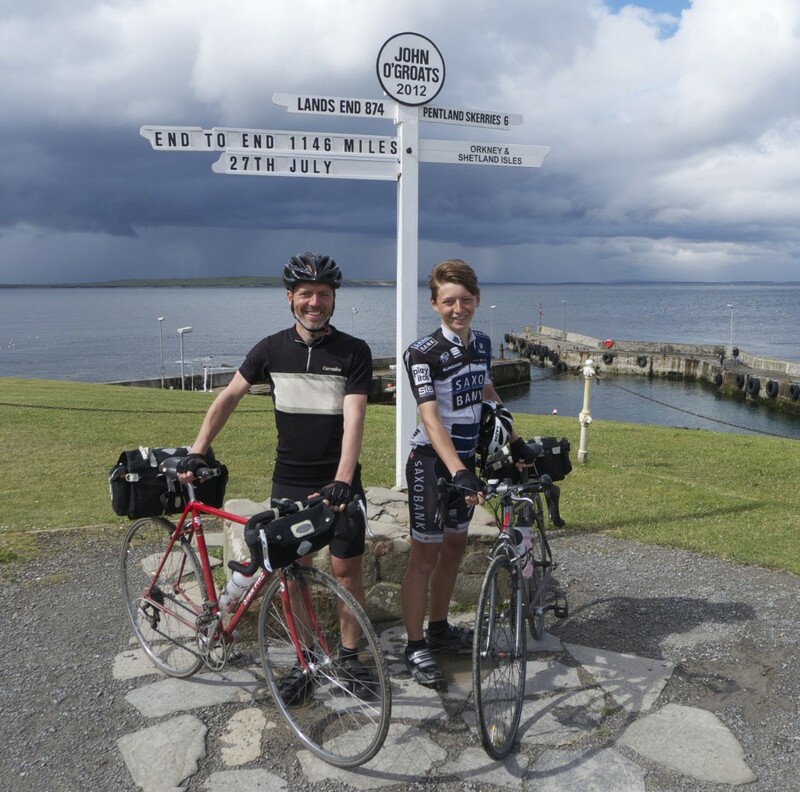 I use the bike now as my winter bike and for touring, completing a 1146 mile cycle ride from Land’s End to John o’ Groats with my 14-year-old son in 2012. See our blog for details.